We only use the highest quality products which are sourced from reputable manufacturers, all of which have the necessary testing certification. Towbar wiring has traditionally only covered the main lighting functions of the trailer, indicators, brakes, tail lights etc. At first this was done by simply wiring the towbar plug into the corresponding cable on the vehicle loom, either by soldered joint or crimp type joint. As vehicle manufacturers started installing more complex wiring systems, which would detect a drop in current through the wiring loom, the towbar wiring changed to incorporate a Bypass Relay, which essentially boosted the power when a trailer was connected. This meant the current used to power the trailer lights wouldn’t trigger the vehicle systems into thinking there was a bulb failure. However, as its name suggests, this relay also bypasses the safety features designed to operate when the vehicle is towing, such as ‘trailer stability’ or ‘anti-sway’ technologies. Planned legislation will also dictate that the towing vehicle be able to identify when a bulb has failed on the trailer as well as the vehicle itself, something else these relays bypass. 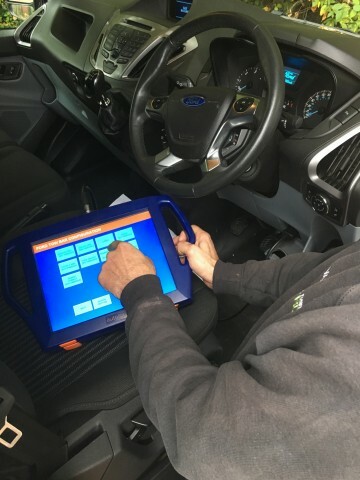 Utilising dedicated wiring looms, specifically designed for the individual van model, we can ensure that all of the safety systems built into the vehicle for towing, function exactly as the manufacturer intended. 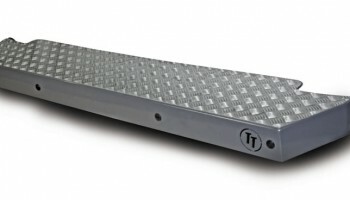 These dedicated looms also use the vehicle manufacturers own connection points, so no need for plastic crimps or soldered joints, safeguarding the manufacturers’ warranty. More recently we have invested in the latest diagnostic technology, allowing us to activate the vehicles’ towing safety functions, which otherwise would be turned off and ineffective, without the need to return the vehicle to the dealership. 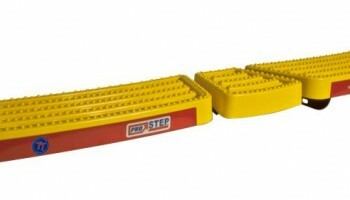 We can supply and fit rear van safety steps, to provide safe and easy access to the rear of your van. 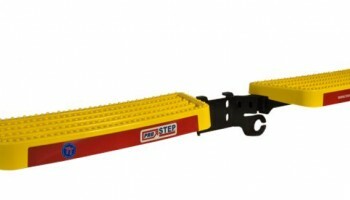 These steps are available for both towing and non towing vans, and the variations include black or yellow with a plastic tread, or the Jumbo range which are made with an aluminium checker plate finish. 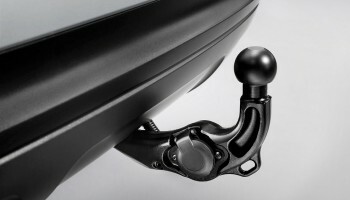 They can also be supplied with reversing sensors if required.